Several reports are preloaded in Arena. Following is a list of the pre-loaded Membership Reports. These Reports are created using Microsoft Reporting Services. Most reports have Parameters that act as filters. 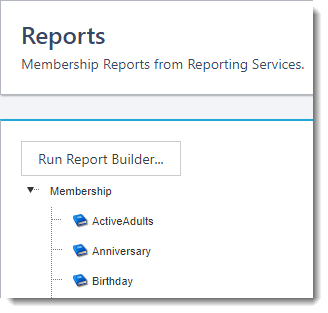 The next sections list some of the preloaded Membership reports, a brief description, and the available parameters. Microsoft Report Viewer is required. These parameters return records limited by date of birth. The start and end dates limit the results by age of the person. A person’s age calculates by using the birthdate field and the system date on your server. First time visitors are those records with a date in the First Visit field in the Visit Dates listed on the Person Detail page. Use the parameters to limit the date range for the report. This report displays the Head of Household records as they pertain to a selected Member Status. Arena determines head of household by the oldest adult male in a family. If an adult male is not present, the oldest adult female is the head of household. This report enables you to group records by member status, record status, city or state. 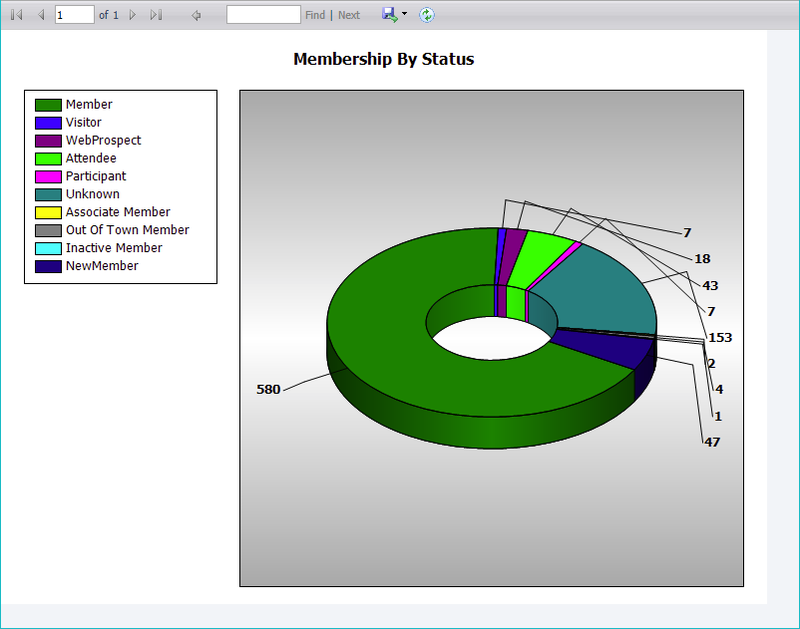 This report displays all active records by member status in pie graph. This report displays all records identified by the MOVE Agent. There are no parameters for this report. This report identifies new records based on the date entered. Use the Start Date and End Date to narrow your search. Use this parameter to select a person’s name from the list and to see a graph of the person’s Personal Activity Meter (Health Meter). After entering values for all available fields, this report displays the contact information for each giver across the five-year period. You can use the single or double arrows to navigate through a multi-page report. Click the First, Previous, Next, and Last page arrows to move between the pages of the report. You can also enter the desired page number manually. The number listed after the box is the total number of pages in the report. Remember, this is the number of pages displayed on the screen, not necessarily printer pages. Enter the information you would like to search for in this report, and click the Find button. Arena highlights the text, when found. 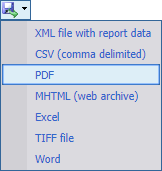 Once the desired report displays, select the export format. This creates a file you can open and print using a multitude of programs. Values for this list may vary and are definable under Report Services. Click the Refresh icon to rerun the report.